Basket includes 5 oz. 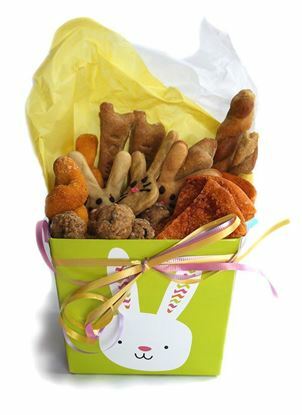 of our Carrot Twists, 4 oz. 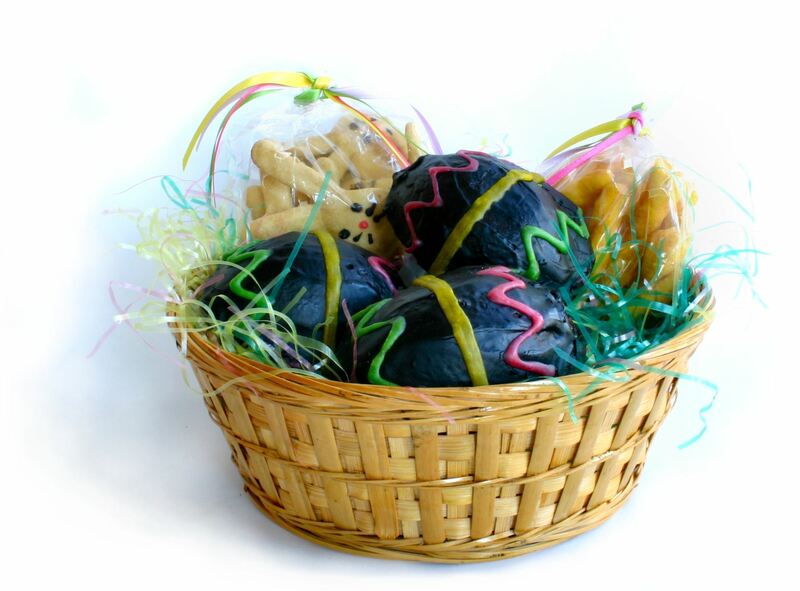 of our PeanutButter Bunnies and 3 of our "Brownie" Easter Eggs with Carob Frosting all nestled in a basket and wrapped with cellophane and pastel Ribbon. Shipping Weight 3 pounds.